Design Inc would like to add our congratulations to our two Meeting Industry Marketing Awards winning clients, the marketing teams at One Great George Street for the Gold Meetings Industry Marketing Award for the ‘Best Direct Marketing Campaign’ and Victory Services Club (VSC) for the Bronze ‘Best Brochure’ Meeting Industry Marketing Awards. 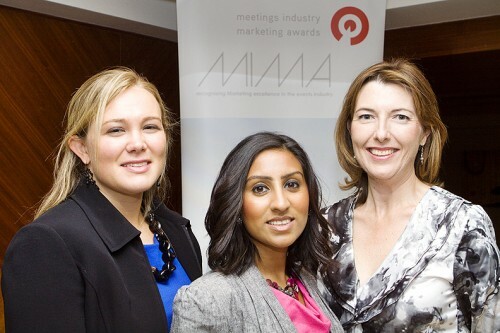 These prestigious meeting industry marketing accolades were presented at last night’s MIMA Dinner at The Park Plaza Riverbank Hotel. For two of our clients to both be winners is the icing on the cake for us as we have been supporting these two leading Westminster Collection London venues with creative design this year. Venue marketing is one of our areas of specialisation at Design Incorporated. With experienced venue marketing professionals in our team of consultants. 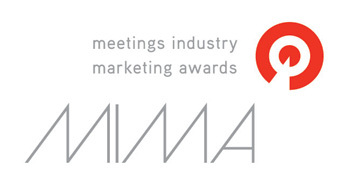 Reviewing One Great George Street’s winning campaign, the MIMA judging panel commended the winning combination of campaign strategy, research, insight, commercial hire package tailoring, creative execution, use of data, response handling and follow-up mechanisms as all contributing to the overall success of the campaign. This campaign, aimed at government departments, featured a targeted eShot, used in conjunction with a printed mailpiece and a print advertisement. According to Wendy Greenhalgh, Director of Sales & Marketing at One Great George Street and Board Director of the Westminster Collection (pictured with her team). ‘One Great George Street is very appreciative of the expert help received from their loyal business partners Design Incorporated in the provision of award winning venue marketing support’. Venue marketing is just one of the campaign areas that Design Incorporated has been working for with our other MIMA award winning client Victory Services Club. In addition to the Bronze MIMA Award for Best brochure, designed by us for corporate hire of the VSC, we have been supporting membership marketing with recruitment drives that have outstripped the performance of any previous initiatives. The ‘Reunite’ at the VSC print and email advertising campaign for Army, Navy and Air Force veterans being particularly effective this year.